Perry Czopp lives in Costa Rica, where he works with coffee producers Don Eli and the Montero family. Over the next year, Czopp and photographer Cheyanne Paredes will explore Costa Rica’s coffee community through a variety of lenses: tourism, production, export, and consuming culture. In this first installment, Czopp makes the case for Costa Rica as an ideal destination for coffee tourism. If you’re looking to plan a vacation, Costa Rica has lots to offer: picturesque sandy beaches ripe for lounging, protected national parks begging to be explored, and buzzing cities with lively night life. 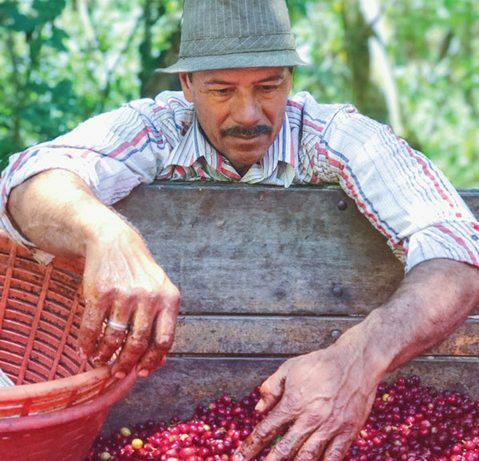 But for the coffee professional, the country has so much more to offer: an opportunity to experience the intersecting segments of the industry’s supply chain, from production, to export, to consumption. Costa Rica produces fantastic coffee that’s representative of Central America. It’s a progressive country open to working with consumers, and it’s easily accessed from the United States. While more than two million tourists come to Costa Rica throughout the course of each year (accounting for 15 percent of the country’s gross domestic product), the ideal time for coffee professionals to visit is during harvest, anytime between November and April. Not only do you get to witness the action of harvest, these months fall during Costa Rica’s dry season, when rain is unlikely and the temperate weather provides a perfect getaway from the winter weather happening farther north. It’s not easy to sacrifice the time and money necessary to take an origin trip, yet this is such an important milestone for any professional in the industry. I first began to understand coffee while working as a barista at a small, independent café. This was eight years ago, and at the time, going to origin wasn’t possible. Even as I got closer to coffee as a roaster three years later, it was still far out of reach. 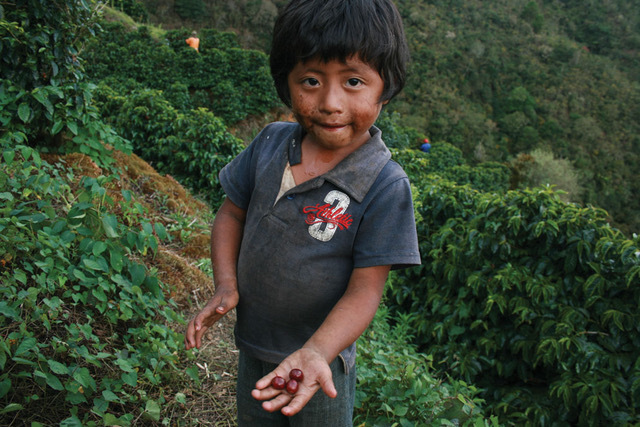 But I knew that it was important to my career in the coffee industry to see production firsthand. A few years after I started roasting and getting more intimately acquainted with green coffee and where it came from, I competed in a regional barista competition. With roasting skills on my barista resume, I wanted to look for green coffee that I could both roast and serve to the judges. I worked with Jeff Courson, a green coffee trader, to find the right coffee for me—we selected Tematica, a typica micro-lot produced by the Montero Family at their micro-mill in Costa Rica. 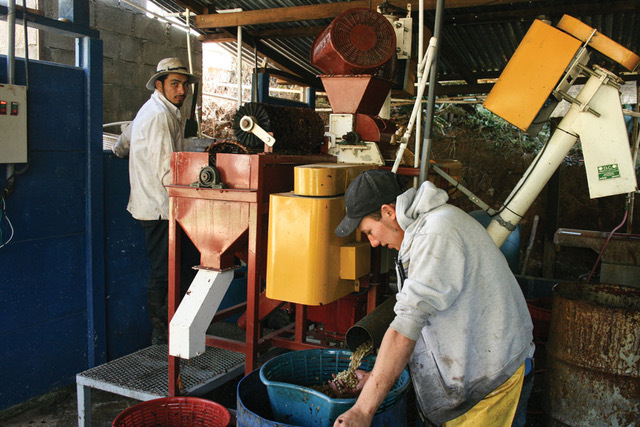 The process of selecting this coffee and preparing for the barista competition led to correspondence with Carlos Montero, the coffee’s producer. Not only did I have an open dialogue with the Montero family, but I received a direct invitation to visit their farm. I dove in head first and bought a plane ticket for a two-month visit while I was in between jobs. I spent most of my time working on the farm, but had the opportunity to explore on the weekends. I loved it so much I decided to move here. I continue to learn something new every day about the coffee trade. Since my first trip eight years ago, trips to origin have become much more common, and contact with producers is much more feasible. This has been a huge breakthrough with an immense impact on our industry. Between the ease of travel and the willingness of local producers to host guests, I believe Costa Rica can lead coffee development in the right direction. While there are many ways to travel to Costa Rica, I suggest contacting a farmer directly or getting in touch with your roaster, importer, or exporter in order to find a producing family open to hosting a visitor. Once you get in contact with a farmer, inquire about their ability to host visitors, and come up with a daily or weekly contribution you can make to cover their costs (I suggest starting at around fifteen dollars a day). Remember that you’re going to experience harvest, and learn the coffee growing industry; don’t be a tourist who stops at a farm, takes a picture, and moves on. Dedicate at least a week of your time to working on a specific farm and you will get so much more out of your trip. Three-to-four weeks is the perfect amount of time for a visit: you can experience an entire processing cycle and still have time to explore the country’s volcanoes, beaches, and national parks. In staying with a producing family you get a lot more than a farm or wet mill tour and some photos. You actually become immersed in the day-to-day life of a producer; the early mornings, late nights, language, food, decision-making, and endless hard work that coffee production requires. 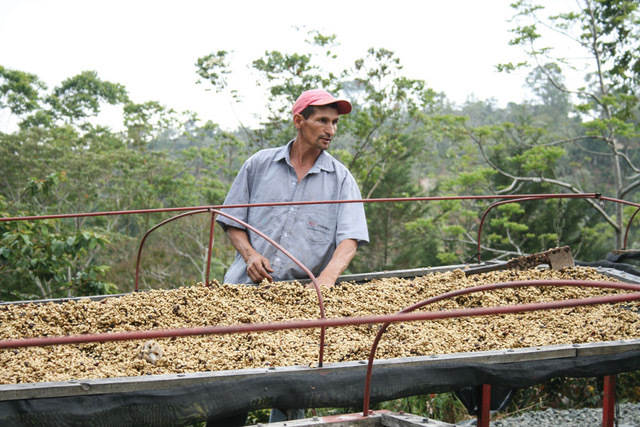 Working on a farm also facilitates a more meaningful and longer-lasting connection with the farmers you are visiting or staying with, including a deeper understanding of the region, café culture, and overall coffee production. When booking travel to Costa Rica from the United States, there is no need to worry about filing visa paperwork. When you arrive, border control will stamp a ninety-day tourist visa into your valid passport. Though uncommon, you may be asked to present proof of your departure from the country. Outside of the Juan Santamaría International Airport you can grab a red cab or even use Uber to catch a ride. Both are totally safe and economical ways to get to the next place you need to go. Knowing common questions and answers in Spanish is great, but many people in the main cities speak some English. I recommend staying in San Jose for a night when you arrive and before you leave, because you can come and go from the airport on your time and have time to enjoy the capital city. San Jose has a great café culture that conveys the coffee landscape of the country. Start in Barrio Escalante, the hip part of town housing most of the popular restaurants and cafés. There, you can check out Underground Brew Café, Franco, Cabra Negra, and Cafeoteca, all within walking distance from each other. From there you can go through the artsy Barrio California to Barrio Amón and visit the quaint Café Nauta. End up in the heart of San Jose by checking out the Academia Costarricense del Café where they roast, brew, and educate about all that is Costa Rican. It is nice to have cell phone service during your stay, so I suggest visiting a Kölbi, Movistar, or Claro store front to get a SIM card and service. Generally the connection works well and is a pretty inexpensive (around twenty dollars) convenience. Having a locally connected cell phone simplifies searching destinations, getting directions, and even posting on social media. Be patient, go with the flow, and savor the moment. Everything will get done, but not everything will unfold when you want it to, or when you think it should. —Perry Czopp is a coffee professional living and working in Costa Rica.